A “DARK and disturbing” thriller set in Shetland is to be turned into a Hollywood movie directed by Peter A Dowling and starring Connie Nielsen, Charles Dance and Rupert Graves. Crime writer SJ Bolton said she was delighted that her debut novel Sacrifice, inspired by her research into Nordic mythology, was finally adapted for the big screen. Filming is due to commence in mid-May and will take place mainly in Ireland and in New York, but also in Shetland. The book was optioned for a future film five years ago, but Bolton said they were only comfortable to announce their plans now as only five per cent of film projects ever make it to production stage. The news comes just weeks after BBC Scotland announced they had commissioned six further episodes of the drama based on Ann Cleeves’ crime novels. Speaking from her home in Oxfordshire, Sharon Bolton said she was delighted with Peter Dowling’s screenplay which does “more than justice to the book”. 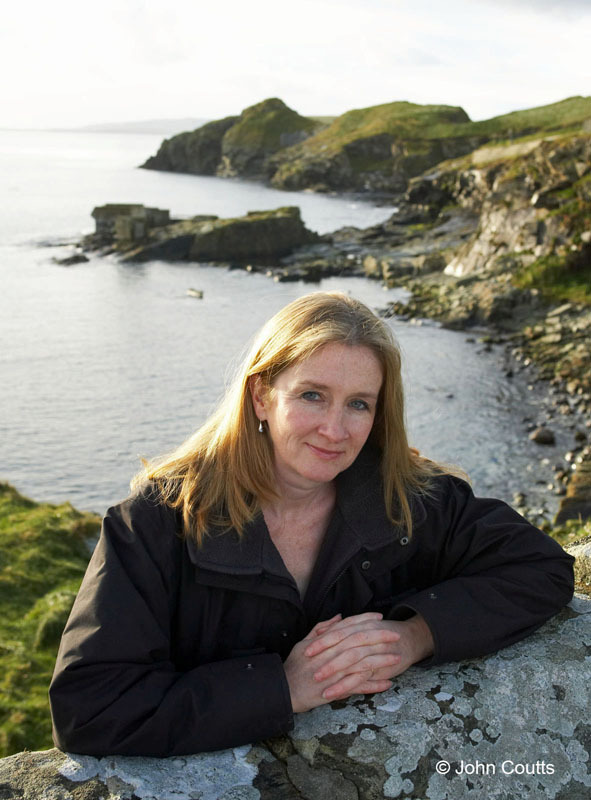 Sacrifice is the story of consultant surgeon Tora Hamilton who moves with her husband Duncan to Shetland. Deep in the peat soil around her new home, Tora discovers the body of a young woman with three rune marks carved into her skin and a gaping hole where her heart once beat. Ignoring warnings to leave well alone, she uncovers terrifying links to an ancient legend. Bolton said she had come across the story of trows who stole a human wife in order to perpetuate their species when she was researching mythology in her local public library in Aylesbury. “I thought the story was fascinating but very dark with a creepy atmosphere, and I wanted to see if I could make it work as a contemporary crime novel that is credible in the 21st century. “Because it was a Shetland story it would have seem ridiculous to me to set it anywhere else other than Shetland,” Bolton said. The book when published in 2006 was an instant success, translated into several European languages and shortlisted for the International Thriller Writers’ Best First Novel award. Bolton dispels any notion that her book or the forthcoming movie is in any way an accurate picture of Shetland. She added that she “really enjoyed” the adaption of Ann Cleeves crime novel Red Bones, screened on BBC1 as Shetland earlier this year. “I thought the islands looked beautiful, and the story really worked because you were seeing this place that relatively few of us know anything about.